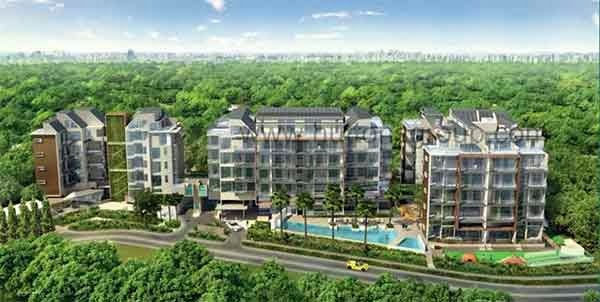 Singapore Tropika East is a new condominium project at Foo Kim Lin Road, Singapore, District 14. It offers you excellent reasons to call this home, Tropika East is a private residential enclave, epitomise sophistication. Tropika east also provides peace and tranquility in your Tropical Haven. It also creates the new hive of activity. Tropika East development comprising 105 freehold condominium units within a private landed houses enclave, Tropika East presents contemporary architectural design, abundant greenery and resplendent waterscapes. Offering 26 numerous layouts from exclusive 1 bedroom to high-class 3 bedrooms and ample penthouses, together with exclusive high-ceiling loft units and units with private pools; a variety of selection options for every discerning owner. Tropika East is the platform from which to discover the different facets of life in Singapore. With shopping, cuisine and night-life options in abundance, you will be spoilt for choice in your very own area. Tropika East is well available by many major expressway, well connected to KPE and PIE with the PIE entry to the town via Bedok Reservior Road then on to Eunos Link. It will take 5-10 mins to CBD/MBS/CHANGI AIRPORT/PAYALEBAR COMMERICAL HUB/CHANGI BUSINESS HUB. Residents can also take a 10 minutes walk to the upcoming KAKI BUKIT MRT & UBI MRT Stations. Tropika East is also just a short drive to Paya Lebar central, the upcoming 12-hectare commercial center of the east, with more than 5 million square feet od retail, foods , hotel and business development. Tropika East also enjoy easy access to Eunos MRT and the upcoming Kaki Bukit MRT Stations. Tropika East is a special residence that is the fantastic synergy of beautiful living, convenience and modern ambience where you desire to come home to because you deserve it. Go and visit Singapore Tropika East for additional information or contact the marketing staff at 6100 0877 for enquiries. Today, there have been 11 visitors (164 hits) on this page!